South Adelaide head North to wrestle the Roosters in Round 11 SANFL Macca's League action at Prospect Oval this Saturday afternoon. 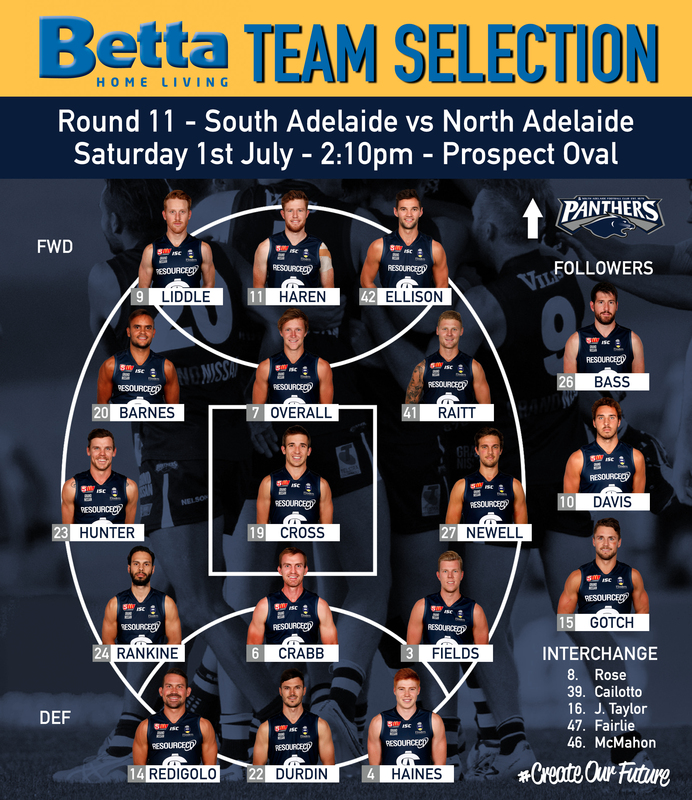 The Panthers have added a combination of height, speed and firepower to the lineup that faced Norwood a fortnight ago. Athletic forward/ruckman Codey Ellison has been named in a forward pocket, with speedy Matt Raitt joining him on a forward flank. Zippy youngster Connor Fairlie has also been named on the extended bench that must be cut to three on Saturday. All three have a knack for goals and will add some potency to the Panthers forward line. Only one change has been confirmed to date, with Nic Schwarz being omitted from the League side. Can't make it to the game? 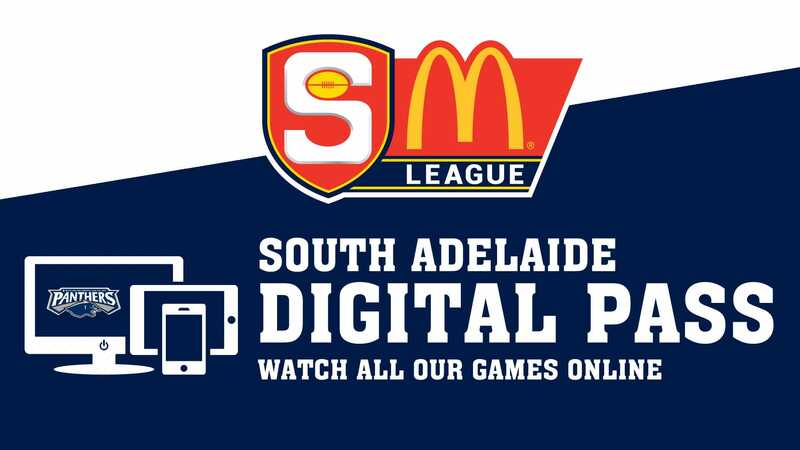 Watch it live with a South Adelaide Digital Pass! 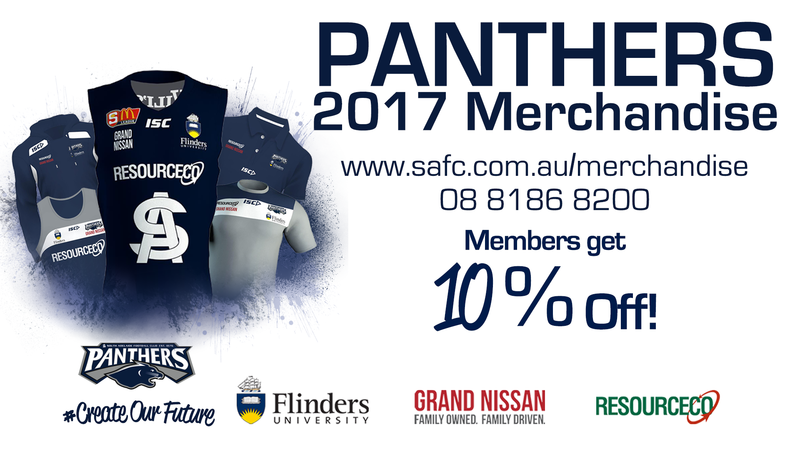 The Reserves will benefit from an injection of experience as several senior Panthers make their return from injury. On the comeback from hamstring complaints are Roland Ah Chee, Adam Gulden and Tyson Brown, while fan favourite Jake Veide is also set to make a return from a knee reconstruction suffered in late 2016. The quartet join Schwarz, Ben Heaslip, Alex Moyle and Peter Rolfe as players with League experience in the Reserves. 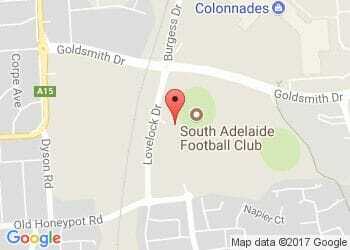 Meanwhile, South Adelaide's Under-18s also play their Sammy D Memorial match against North Adelaide at Hickinbotham Oval on the same morning.